Today, everyone seems to have become extremely concerned about the idea of wellness and are continuously thinking of ways to promote this. but whether you’re out walking your dog, eating dinner, or hosting a fun family party, spending quality time builds healthy kids and families. Instead of buying dinner for the family on your way home or just popping some frozen meal into the oven or microwave, take some time to gather the whole family to help whip up a delicious meal for dinner. 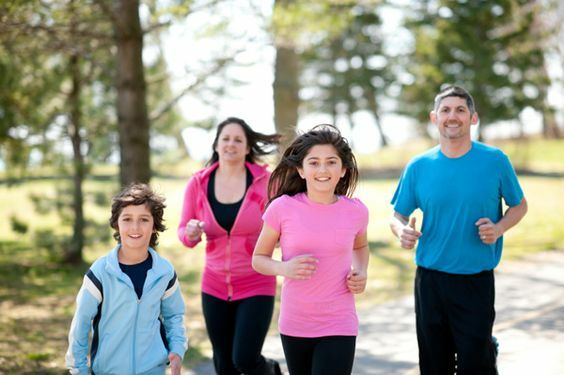 Doing this at least once a week will be one great way to promote wellness; plus, you will get to spend some quality time with the whole family. Another good thing about this is that you will most likely prepare a healthier meal compared to buying take outs. Try to do some volunteer work within the neighborhood or city and go as a family; clean up a beach or the streets in the community. You can also help build a house or serve food at a shelter for the homeless and even plant trees around the area; there are endless possibilities for you to help and this activity also connects your family with the community that you live in. Moreover, this activity will also give you a sense of pride and accomplishment while also teaching your kids critical thinking and life skills. Print or list down all of the parks that are available in your city and try to visit as many as you can. Search for the parks that offer the best jungle gyms or a quiet and relaxing spot that is great for reading, or find out which one of those parks are great for a barbecue or playing outdoor games. Once you’ve found the best parks in town, mark your favorites so you can visit them again. During your next visit, try going there at night so you can play with the Whistlecopter toys and also the LED Skateboard. Get to enjoy the fun flashing LED lights that shine bright at night which will surely be a whole lot of fun while spending some quality time with the family.